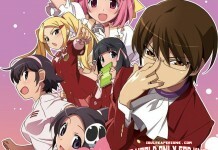 Keima has proven himself to be the Capturing God of both the 2D and 3D worlds! by releasing fourteen girls from the grasps of runaway spirits by making them fall in love with him . But now a new challenge awaits as Diana, the goddess possessing Keima’s neighbor Tenri, tasks him to find her siblings, and his only clue to their whereabouts resides with past conquests who still retain their memories. 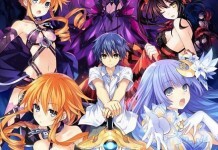 Now Keima is on the hunt in hopes that these divine beings might finally release him from his contract with Hell. But with the shadowy organization known as Vintage out to kill these girls, it becomes a race against time to put a stop to their plans and restore these goddesses to their former power!